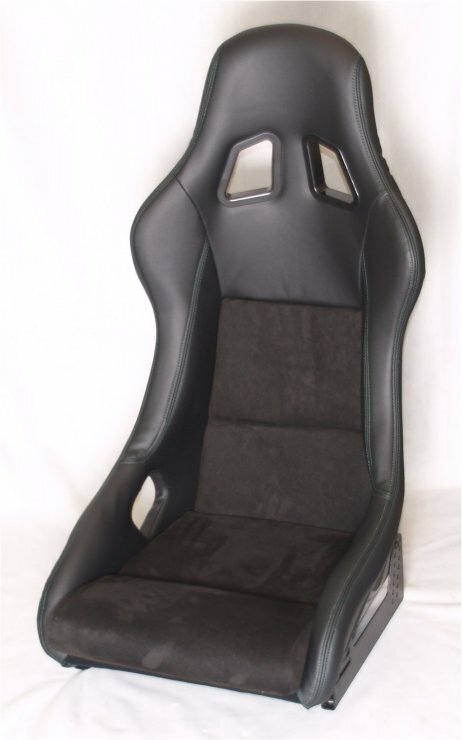 The LX2 seat is designed to gain headroom while still using sliders in the NA/NB Miata. Side mount installation allows customers to control the final seating angle. The perimeter of the seat can be upholstered in simulated or real leather, with your choice of suede color inserts. The suede inserts can have standard flat panel, diamond or double diamond stitching. 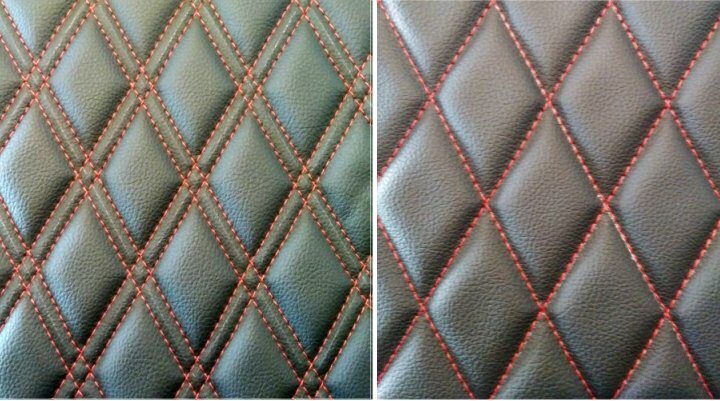 The sample diamonds below are shown on vinyl but it would be the suede inserts that would receive custom stitching patterns. If one seat is ordered with Miata hardware, it will be set up as a driver seat unless otherwise instructed. These seats are made to order in approximately 4-6 weeks. Due to the custom nature of this product, we do allow customers to pay a 50% deposit upon ordering and the balance upon completion. If you would prefer that option, please email us for instructions. Continental US freight - $89 per seat.